Marchettino - The ONLY official website: A velvet Furrari - The new trend? We can all come up to the same conclusion that money doesn't buy class. Car wrapping is a good solution to make your car look more unique, crazy or better looking, but this is just wrong. 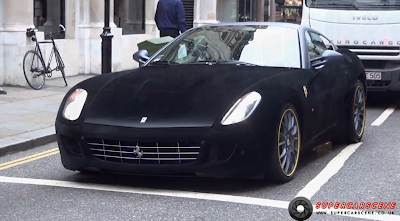 On summer we're used to see many arab owned supercars driving around London, most of them with a shiny or chrome wrap, what do we see here might be the start of a new trend of wrapping (we really hope not) - the velvet. This Ferrari (or should we call it Furrari?) 599 GTB is wrapped in black velvet and the result is absolutely tasteless; with this kind of wrap you can barely recognize the real lines of the car. If this is the trend, then we don't have to to wait so much before to see a supercar wrapped like Dumb & Dumber's Ford Econoline. 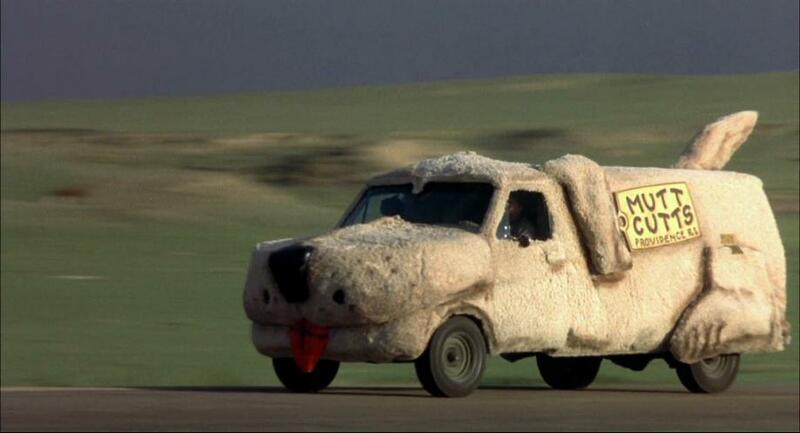 Imagine it shooting flames and setting the whole wrap on fire.